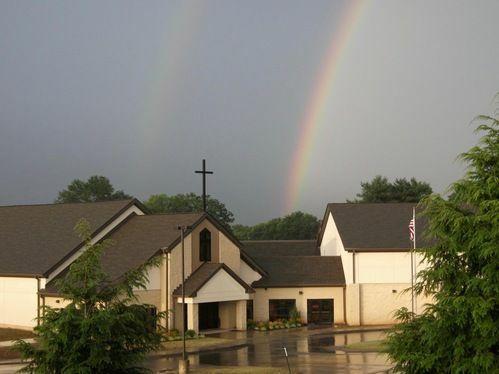 Seymour Heights Christian Church was founded in 1974, when a small group of people felt a God-given call to start a church to reach people for Christ in the growing Seymour area. While the physical footprint of our church has changed through the years, our desire to reach our community for Christ remains the same. Here we are, over 40 years later, continuing to make a difference in the lives of people and our community as we passionately pursue Jesus and challenge other people to do the same. We are excited about the future at Seymour Heights and believe that our best days are ahead, as we strive to become an UNHINDERED people, building an UNHINDERED place. We cannot wait to see what God will do with our next 40 years, and hope you will join us for the journey. 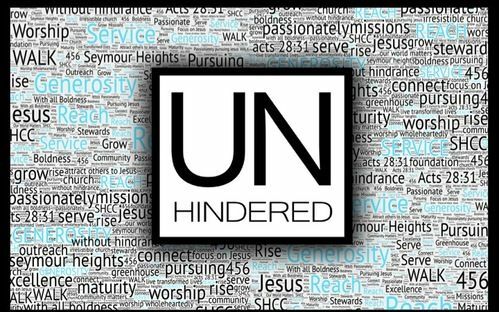 In June of 2018, we began a two-year journey called the UNHINDERED initiative designed to address key areas that hinder us, both individually and as a church body, in fulfilling our God-given vision. Our UNHINDERED vision is not about being comfortable or playing it safe. We celebrate the amazing past victories of our church, and we look forward to an UNHINDERED future. This UNHINDERED future opens up our lives to God to put His finger on what is holding us back as individuals and as a church family. Together, through this initiative, we will become UNHINDERED people building an UNHINDERED place. This is an exciting time in the life of Seymour Heights, but it will take more than excitement, it will require each of us seeking and depending on God like never before. It will require prayer. It will require action. It will require sacrifice. This UNHINDERED initiative provides an opportunity for all of us to grow in our service, reach, and generosity so that we can become part of something that has eternal value. UNHINDERED starts with us as we seek to glorify God! God calls us to service, and we need more people faithfully serving. We seek to have every individual serving in some capacity by challenging them to try three weeks of service. God calls us to challenge other people to passionately pursue Jesus. We challenge every person to reach out to three people and build intentional relationships for the purpose of sharing Christ with them. God calls us to be stewards, not owners. We desire every person deepen their trust in God and grow in their generosity. Generosity impacts our ability to minister to others and physically make room for those we reach with God's love. Join us every Sunday as we gather to worship together a 9:00 am and 10:30 am.